We take pleasure in introducing ourselves as leading firm by offering Non Basmati Paddy Seeds. We bring forth superior verities of Rice Seeds in the marketplace. Parvati, Annapurna, Shivani, Ruchi, and Suman are some of the major varieties of Non- Basmati and Basmati Rice Seeds we deal in. 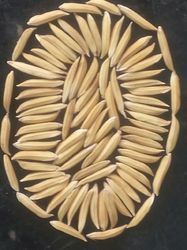 These seeds are remarkable for high yield of rice production in the farms. 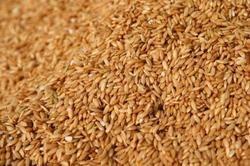 Besides, we are one of the principal Hybrid Rice Seeds Manufacturers and Suppliers in India. Being a leader in the industry, we are engaged in offering a qualitative range of Basmati Paddy to our clients. In order to fulfill the ever-evolving demands of our esteemed clients, we are engaged in providing an optimum quality array of Basmati Paddy. We are at our place one of the well known supplier of Basmati Seeds. We are offering Basmati Seeds to our valuable clients as per their requirement. We are offering a wide range of Basmati Paddy Seeds. These are widely appreciated by our clients which are situated all round the nation. These are available at market leading prices.